Thus cried Jonah, the reluctant prophet. One man speaking against one of the mightiest cities of the day. I believe the Book of Jonah was placed in our scriptures by the Holy Spirit to have more meaning than to address the problems of those who run away from their calling or to provide our Sunday Schools with a quaint story of a man and a big fish. I believe this is more about how we view our enemies. The LORD rebuked an offended James and John who wanted to call down fire from heaven upon a small village that rejected their LORD’S message. He said, You know not what manner of spirit you are of. Recently, I sat with a young Kurdish woman in the government office where she worked. We were waiting for some document I needed to come back from another office. As we talked, I could tell she was discouraged and worried about the future. Why wouldn’t she be? The border separating the Kurdish forces and ISIS was only mere miles over the horizon. I tried to assure her that many American people, especially we Christians were with them. She just looked at me sadly and said, I don’t think your people like us anymore because we are Muslims. I asked her where she got that impression. She said, By watching American TV and hearing the hatred spoken toward Muslims on the air. These people are our friends, our allies and so far they’ve lost over 1500 of their soldiers in the fight against ISIS. Potentially, the greatest harvest of souls in human history is right before us but are we too blind to see it? Are we too predisposed to pay attention to it? Will we one day wail over a harvest past and a missed opportunity as Jeremiah did because his generation did not heed his words? We are witnessing nothing less than the spiritual rebirth of Christianity in the Middle East. As one very dear Muslim friend told me, The religion of Islam is finished! People are disgusted with it. For whosoever shall call upon the name of the Lord shall be saved. How then shall they call on him in whom they have not believed? and how shall they believe in him of whom they have not heard? and how shall they hear without a preacher? And how shall they preach, except they be sent? 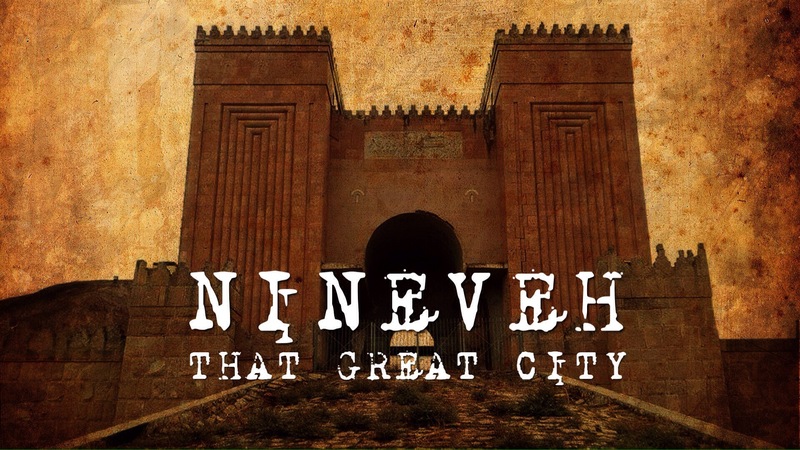 It’s almost paradoxical that the ancient ruins of Nineveh lay just four kilometers from Mosul across the Tigris River a mere sixteen miles from the Kurdistan border. Mosul, a city of two million is still, at this writing, in the hands of ISIS forces. There is a planned invasion to liberate the city. Nobody knows exactly when but its coming. Without God’s intervention it’s likely to be a very bloody battle with the loss of a great number of lives. With over a million Syrian refugees and Iraqi IDP’s just across the Kurdish border and the cities of Domiz and Duhok as well as many smaller towns clustered close by there’s a sense of impending judgement and coming wrath that hangs like a dark cloud in the atmosphere. It’s palpable. If you’re ever going to pray for our people, Pray NOW! If you’re ever going to stand with us then Stand NOW! If you’re ever going to give to help us, then Give NOW! That our brethren will have the resources, spiritual and material to win a harvest.